Go colourful, raise money, help save lives! 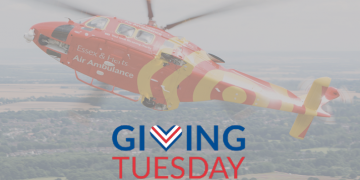 Each month it costs in excess of £750,000 to keep the Charity operational and without Government funding we can’t fly without YOU. 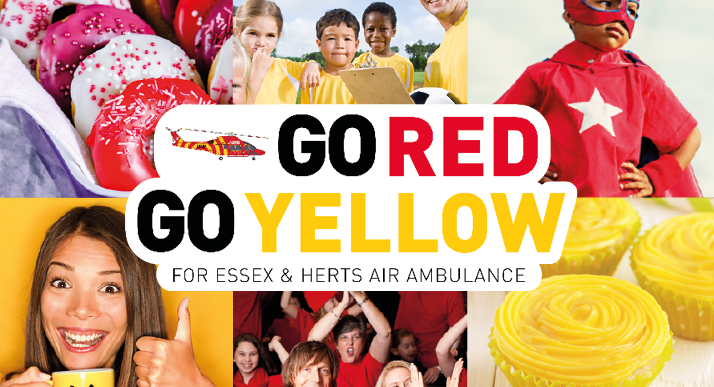 Go Red Go Yellow for your local life-saving Charity. Choose your colour then get in touch today to receive your FREE fundraising pack. 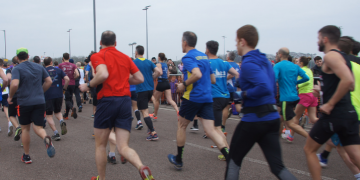 Looking for some inspiration to get your fundraising off to a flying start? Here are some colourful ideas to help you Go Red or Go Yellow! How about a coffee morning complete with lemon drizzle, red velvet, jam roly-poly and custard? Or, for the more savoury treat, perhaps a cheese and wine evening with Red Leicester and Camembert washed down with Merlot or Sauvignon Blanc. Alternatively you could host a dinner party where guests bring colourful dishes such as a korma or a red Thai red curry. Dress head to toe in red or yellow for a school or office dress-down day or throw a fancy dress party with The Simpsons, Red Riding Hood, sunflowers and tomatoes galore. The world is your ‘lobster’ when thinking of red or yellow costumes! If you’re a follower of fashion, you could involve your local college or school with a fashion show where students can design, make and model the clothes whilst following the theme. Whether it’s a duck race to a car show, a flower demonstration, barn dance or quiz night, any event can stand out if you add some colour. 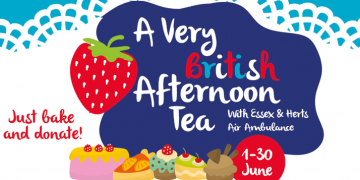 Include red and yellow bunting, balloons and props and show your support for Essex & Herts Air Ambulance. You could even take on a skydive and dress head to toe in a colour (maybe even a banana costume if you choose yellow!) and tick one off your bucket list as well as raising those all-important life-saving funds. Simply search Skyline Registrations to sign up!